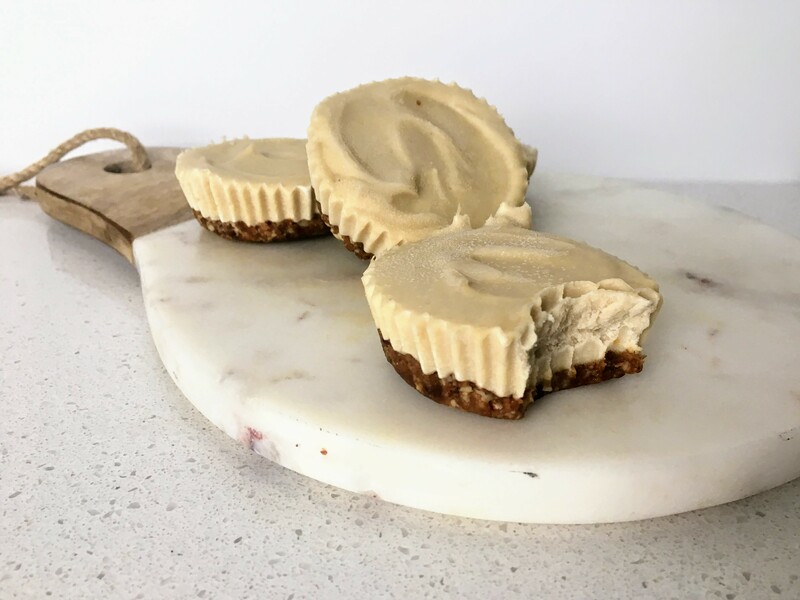 The other day as I was planning out what I was going to recipe test for the blog, I was thinking about this Cashew Cheesecake I had like 6 months ago. I decided to give it a go. I mean how hard can a Raw, Vegan dessert really be?! Well, I learned that this recipe is literally so simple! The hardest/lengthiest part is waiting for your cashews to soak. Bonus, this recipe has less than 10 ingredients in it! This Creamy Cashew Cheesecake is SUPER basic and tastes unreal. You can elevate this recipe by drizzling melted chocolate over it before serving, or adding lemon juice and zest into the cashew mixture to make it into a lemon cheesecake. Or top the cashew mixture with fruit pre-freezing to make a blueberry/strawberry/etc cheesecake. In the recipe you’ll see a note at the bottom that says you can make it into one large cheesecake rather than individual mini cakes, simply by using a springform pan. 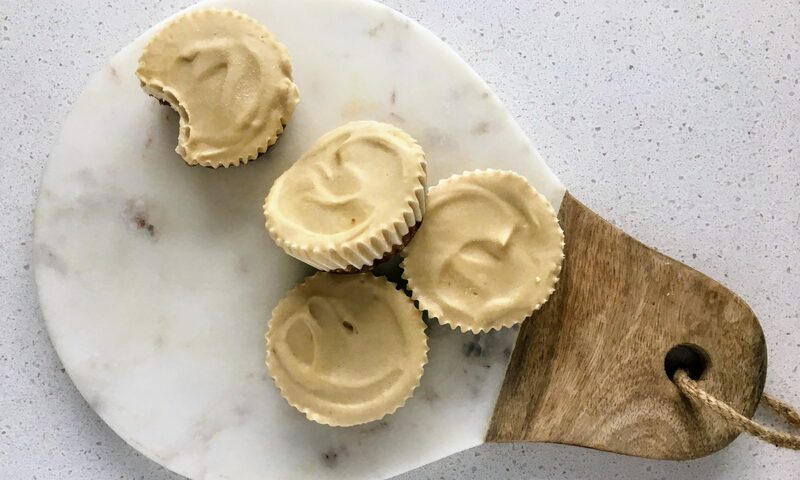 Cashews: packed with Vitamin E (really important for increasing progesterone levels, which is crucial for fertility and improving luteal function). Vitamin A (a really important antioxidant). And healthy fats (necessary for creating hormones). Cashews are also loaded with minerals like copper, phosphorus, zinc and selenium! Almonds: contain clean protein, lots of fibre, as well as vitamin E. Almonds are also loaded with magnesium and copper, not to mention healthy fats. Dates: are a great source of plant based sweetness as well as fibre, which means they don’t spike blood sugar levels, so you won’t experience a sugar crash after eating these tasty treats! Soak your cashews overnight in water and drain them. Line a muffin tin with silicon or paper muffin cups. In a food processor or powerful blender, combine dates, almonds, and coconut oil. Pulse until you reach a coarse crumb texture. Evenly divide crumb mixture between 12 muffin cups. Using your fingers press the mixture to form a crust. Add you soaked cashews, maple syrup, coconut cream, vanilla, and sea salt to a blender. Blend, if your mixture blending smoothly, add a little water at a time, to help get it super smooth. Pour your cashew mixture on top of the crust, dividing it evenly between the 12 muffin cups. Smooth the cashew mixture with the back of a spoon or offset spatula. Freeze cakes for at least 2-3 hours, then transfer to a resealable bag and store in freezer. Let thaw 10-15 minutes before enjoying! Note: You can also make this into one large cheesecake by following the same steps and using a springform pan. Next PostNext Should I buy organic?